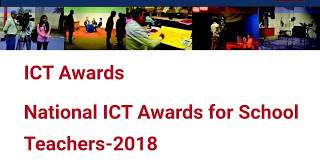 Results for National ICT Award - 2017 declared today. In all 43 awardees selected. Awards ceremony scheduled on 21 November 2018 at New Delhi. Congratulations to the selected teachers. All the best for others.